A slow drip of leaked intelligence from U.S. and Turkish officials has fueled a growing consensus that Jamal Khashoggi, a prominent Saudi journalist, was murdered inside the Saudi consulate in Istanbul. Sen. Bob Corker, chairman of the Foreign Relations Committee, told CNN today: “My instincts say there's no question the Saudi government did this." Why it matters: If the reports are correct, Khashoggi's murder could spark a full-blown diplomatic crisis that pits the U.S. against an ally the Trump administration has made "the fulcrum of [its] Middle East policy," per the NY Times. Saudi Crown Prince Mohammed bin Salman (MBS), who has carried out a massive global PR push and built a close relationship with Jared Kushner, is likely to face unprecedented backlash from the international community if he’s unable to provide answers. What we know: Khashoggi is a Saudi citizen and Washington Post opinion columnist who had been living in self-imposed exile in Virginia. Once a close adviser to the Saudi royal family, he had grown increasingly critical of the government. On Oct. 2, Khashoggi entered the Saudi consulate in Istanbul to retrieve marriage documents. 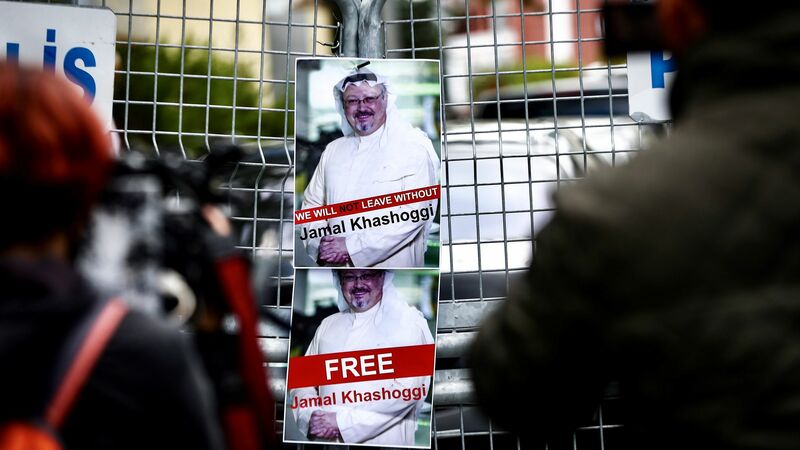 His Turkish fiancee waited for him outside for 10 hours, but Khashoggi never came out. Turkish authorities claim a team of 15 Saudi men were flown into Istanbul in order to carry out a plot to assassinate Khashoggi inside the consulate. Much of the reporting of what happened to Khashoggi has come via anonymous Turkish officials. Middle East Eye, a London-based news organization, reports that Turkish investigators believe Khashoggi was murdered, dismembered and transported to the home of the consul general, where he may be buried. Investigators reportedly claim they have video and audio evidence of the killing. NBC News has published text screenshots that show Khashoggi checked his cell phone just before entering the consulate, but has not read any messages since. WashPost claims that U.S. intelligence intercepts show MBS had previously ordered an operation to lure Khashoggi back to Saudi Arabia to be arrested. Per the Post, this has fueled speculation that whatever happened inside the consulate was a backup plan to capture Khashoggi, and that it somehow went wrong. On Wednesday, Trump told Fox News that he would not commit to halting weapons sales to Saudi Arabia before knowing what happened: "Part of that is what we are doing with our defense systems and everybody is wanting them and frankly, I think that would be very, very tough pill to swallow for our country." 22 senators signed a letter Wednesday demanding Trump open an investigation under the Magnitsky Act, which would give the president 120 days to determine whether to trigger sanctions against any foreign person involved in Khashoggi's disappearance. Saudi officials have denied involvement and provided "little information" in calls with Mike Pompeo, John Bolton and Jared Kushner, who have asked for transparency in the investigation process. The latest: Axios' Haley Britzky asked the Pentagon whether it would consider pulling back support for the Saudis "until we have answers about Jamal Khashoggi." She received a one word reply: "No."